US President Donald Trump made the shock decision to withdraw troops from Syria during a phone call with his Turkish counterpart who said Turkey could clear the remaining jihadists from the country, media reported Friday. 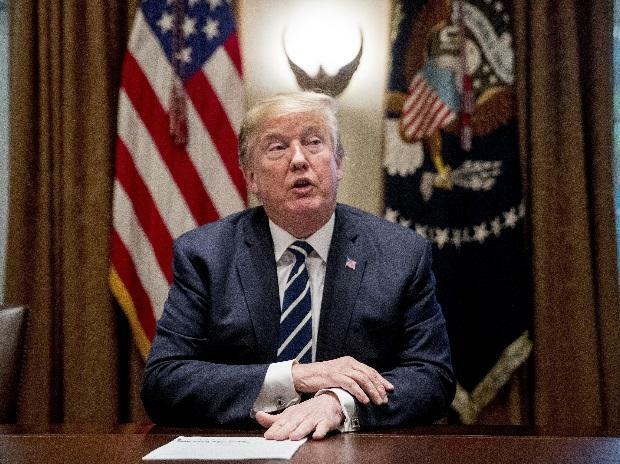 Trump stunned officials and allies on Wednesday with the decision to pull out 2,000 American ground forces, claiming the Islamic State extremist group (IS) had been "beaten" in Syria. Trump's move came after Turkish President Recep Tayyip Erdogan threatened to launch an operation against a Kurdish militia that is fighting against IS with American military assistance. Erdogan and Trump spoke on the phone on Friday and during the conversation Trump told his national security adviser John Bolton to "start the work" to prepare withdrawing troops from Syria, according to Hurriyet daily. The Turkish newspaper said that Trump's order to Bolton came after he asked Erdogan if Turkey would "clean up the remaining Daesh (IS) elements if we withdrew from Syria". Erdogan reportedly told Trump that Turkey had cleared IS during its first military operation in northern Syria between 2016 and 2017 and could do so again. Relations between NATO allies Ankara and Washington have been strained over the US presence in Syria providing training to the Kurdish People's Protection Units (YPG) militia under the banner of the Syrian Democratic Forces (SDF) alliance. Last week Erdogan said Ankara would start an offensive against the YPG in the "next few days" in the east of the Euphrates where there are American forces with the SDF. The PKK is proscribed as a terror group by Ankara, the US and the European Union. US-Turkey ties have warmed up since Turkey released a jailed American pastor in October.